Creating Opportunities for students in every school in the district. The Deadline For Applications To Be Received Electronically By The Santa Ana Public Schools For Students Feb 28 And For Counselors February 15. 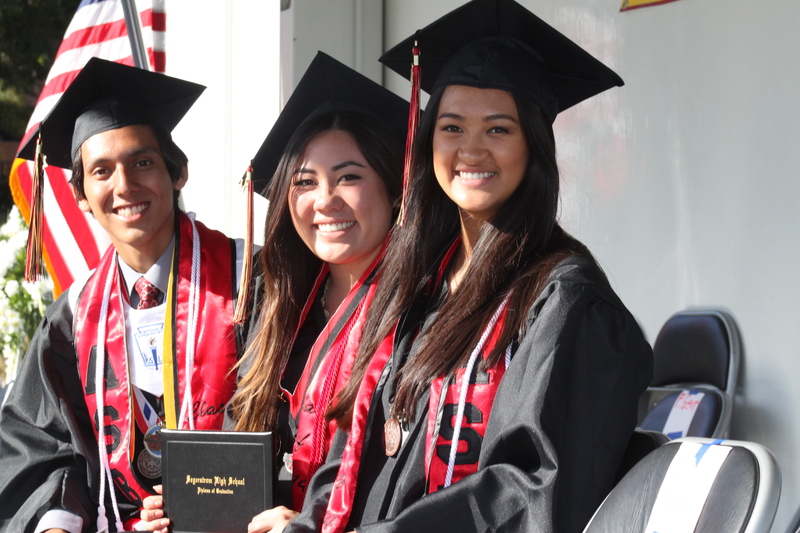 SAPSF Scholarship Awards Will Be At 6:00 P.M. At Saddleback High School Theater On April 17th. Students Are Encouraged To Invite A Family Member. In Celebration, We Invite All To Join Us For Refreshments After The Ceremony. The Santa Ana Public Schools Foundation is pleased to provide graduating seniors from all Santa Ana Unified School District high schools with the opportunity to apply for seven different scholarships to support post-secondary educational goals. We encourage all seniors to consider applying for these scholarships. If selected, students will be notified in March and will receive the scholarship in April. We congratulate you on your current achievements and wish you every success in your future college plans! Applications are available on this website. Click on the “Apply Now” button on the scholarship page. Please enter all of your information online. You will need to attach the responses to the essay questions as separate documents by using the “Choose File” button to connect to your document. When you are finished, you simply click on the “Send” button. The completed application must be submitted prior to the deadline, February 28, 2019. Incomplete applications will be disqualified. This scholarship is specifically awarded to students who will be attending Santa Ana College with the intent of pursuing and completing a 2 year certificated program or transferable pathway to a university of the student’s choice. The objective of the scholarship is to award each student’s success with the financial support. Selected students will receive $1,000 at the beginning of each semester for four consecutive semesters, totaling $4,000 by the end of the two-year cycle. To qualify, students need to have earned a cumulative high school GPA of 3.0 or above. The students must enroll at SAC for this fall semester with a minimum of 12 college credits prior to the first $1,000 payment and continue each semester as a full time student carrying 12 units at Santa Ana College. To qualify for each semesters payment, students need to have earned a cumulative GPA of 2.0 or above and pass all classes with transcripts submitted to the committee at the end of each semester. This scholarship is specifically awarded to students who will be attending Santa Ana College, and will participate in the Adelante Program, with plans to transfer to Cal State Fullerton or UC Irvine. 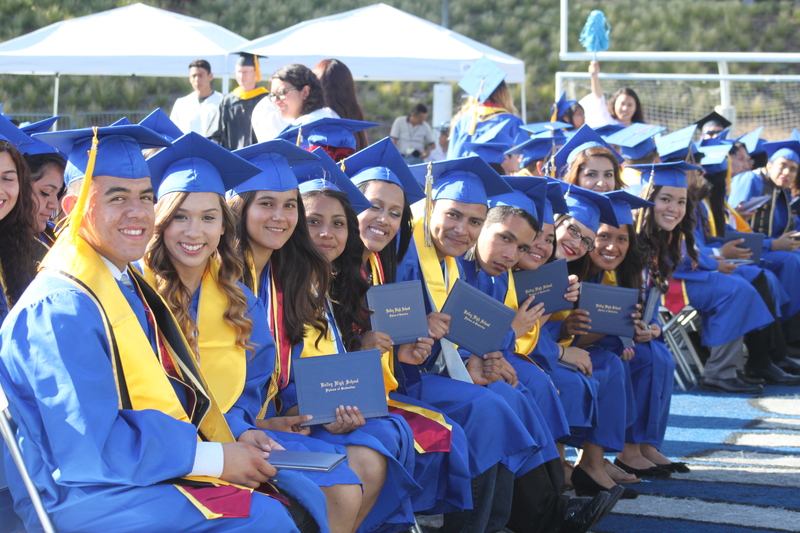 To qualify, students need to complete the Early Decision Program for Santa Ana College. If selected, students must enroll in 9 college credits at Santa Ana College for the fall term. This scholarship is awarded to students who have been focused on CTE certificate programs and wish to pursue a professional certificate in preparation for work. To qualify, students must have a 2.0 cumulative high school grade point average or better, and have been enrolled in a CTE program for two consecutive school years. 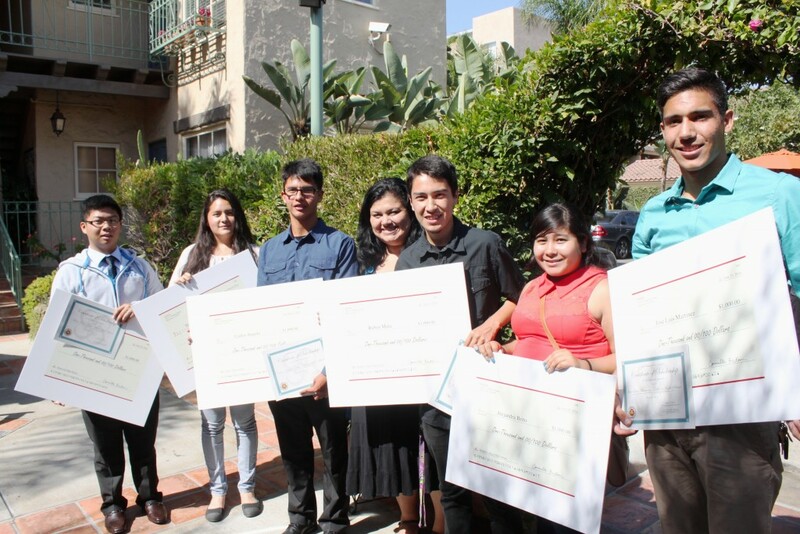 These scholarships are for students who may have had to overcome life challenges and have been actively involved in their school and/or in the local Santa Ana community. These scholarships are in memory of Nancy Diaz-Miller, a retired SAUSD administrator. In her role as Director of Pupil Services and as an elementary school principal, Nancy dedicated her career to designing interventions to assist all students to be successful. Each site counselor is being asked to nominate one student who has not previously been nominated for additional scholarships. SAPSF Scholarship Committee will review the recommendations and determine each site winner. Scholarship consideration is not for the candidate with the highest GPA but based on qualities that distinguish them from other at risk students. Candidates should be a student who the counselor has worked closely with and feels best exemplifies the ‘champion of character’ quality. Yes. Read the qualifications for each scholarship and apply for as many as you believe you qualify. You may apply for all scholarships, but you must meet the criteria for all of the scholarships. What if I am unsure of the college I am attending? The only scholarship that requires a student to attend a particular college is the Adelante Scholarship. That scholarship requires that you attend Santa Ana College and plan to transfer through the Adelante Program to either Cal State Fullerton or UC Irvine. Students applying for the Merit scholarships are expected to attend a university. What if I am an AB 540/DACA student? Students qualifying for admission to a California college or university as an AB 540 student or to any college or university under DACA (Deferred Action for Childhood Arrivals) are welcome and encouraged to apply for SAPSF scholarships. Make sure you work with your counselors and advisors to apply for the California Dream Act to be eligible for additional assistance if you are attending college in California. What if I don’t know my GPA or my family income? Your cumulative high school grade point average will be verified through the school district.This will also be verified through the school district. Contact your Higher Education Center or the Counseling Center at your high school or phone the Foundation office. You may also contact Audrey Yamagata-Noji, Scholarship Representative for the Foundation at aynoji@gmail.com.